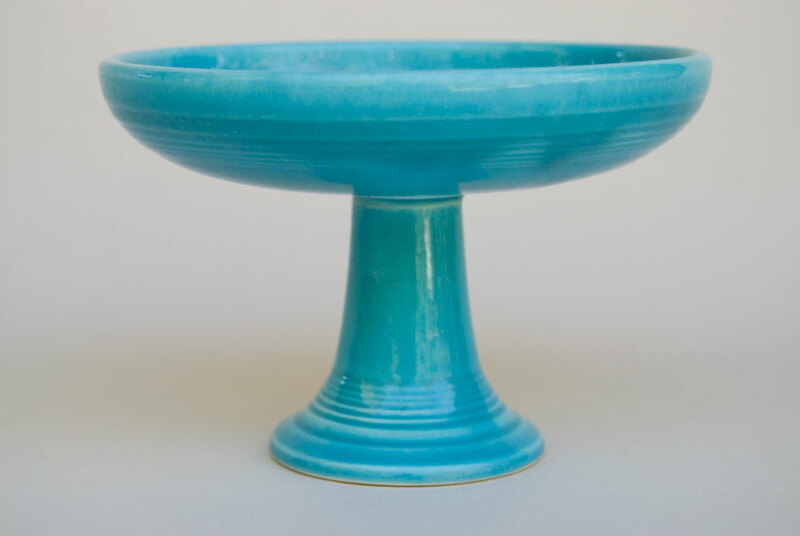 Circa 1937-1946. The tiny sweets comport was part of the original Fiesta line. Available in first six colors only and one of the few pieces that was designed without the intention of marking. It has been speculated that the marked examples that occasionally show up were marked for export. 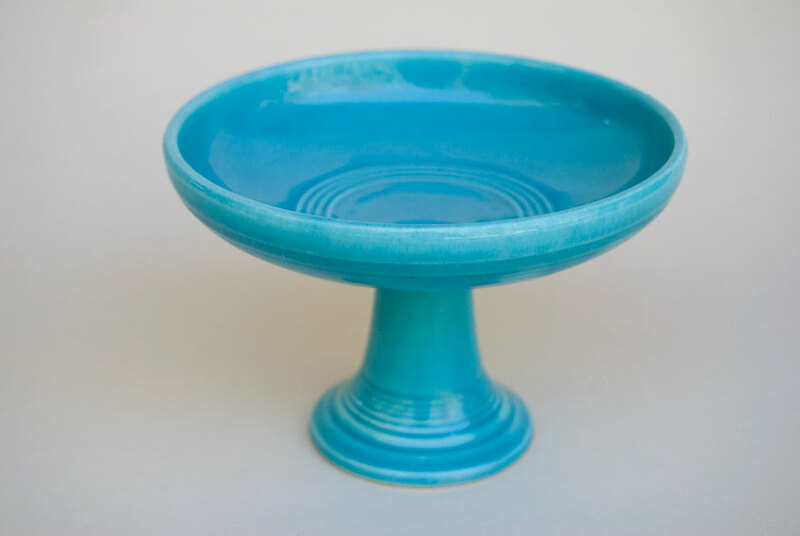 This example in original turquoise stands 3 1/2" h x 5 1/8" w. Excellent condition with a great original blue glaze and no apparent use, no chips or damage of any kind and nice shiny interior surface, brilliant without scratches. 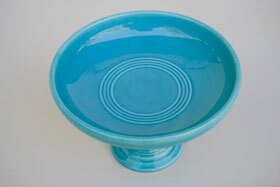 Sure to please in the hard to find turquoise example of a very popular piece.